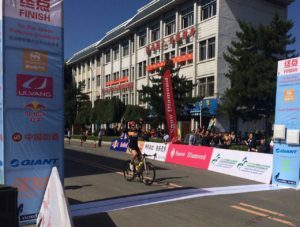 Denis Okunev from Khabarovsk again emerged victorious in Yanbian today, as the young Russian completed a long breakaway in the 2016 Vatternrundan China race from Yanji to Wangqing over 128km. Okunev took off with Chinas Hu Zhichao 50km before the finish and had 11 seconds left to stay ahead of first chaser Tuguldur Tuulkhangai. 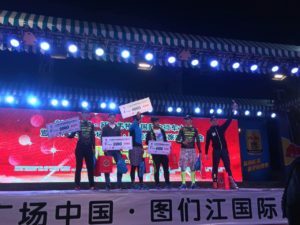 After rainfall overnight, the air in Yanji was fresh with plenty of oxygen that stimulated the many hundreds of participants to produce an attractive race in the mildly ondulating landscape of Yanbian. The event began with an entertaining opening ceremony as the sun emerged from the clouds and the sky turned blue. 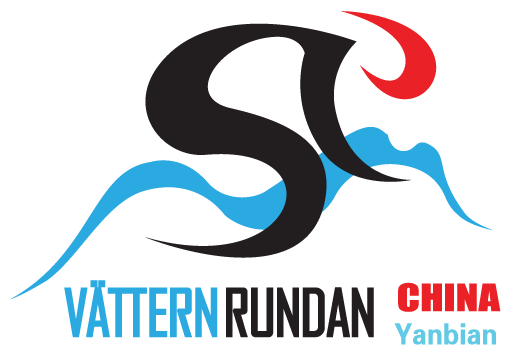 For the fifth edition of the Yanbian International Cycling Festival, partnered again with Swedish mega event Vatternrundan, riders were taken for the first time to the welcoming town of Wangqing. Participants had a choice of 128 or 45 km, and mountainbikers also had a chance to compete in a MTB race for the first time. 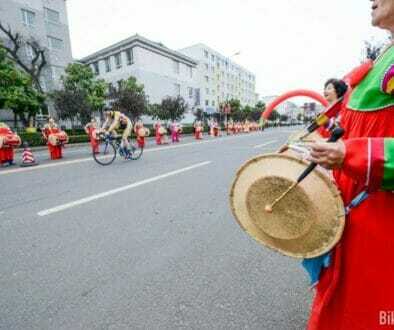 Plenty of attacks ensued as the peloton left Yanji city. An attractive group of seven got away at some point featuring some of the top favourites, but the main group reeled them back in as the wind began to blow quite heavily. Crosswinds would break up the peloton in many smaller groups in the next kilometers. 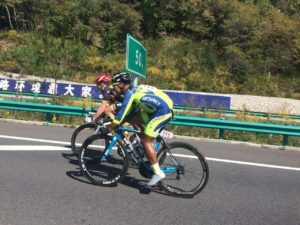 A group of 16 escaped in a hard-fought battle with the wind, and eventually only seven riders were left up front when the race course changed direction towards Wangqing. Suprisingly, the seven got caught again by eight more riders 20km later. After a few more flurries by individuals, Denis Okunev and Hu Zhichao, who had been very active already before, attacked and immediately opened up a substantial gap. Team RTS had four riders in the group, but nobody joined the attack as one of them suffered a puncture and the others, including Tuguldur Tuulkhangai, decided to wait with the chase until their teammate got back. 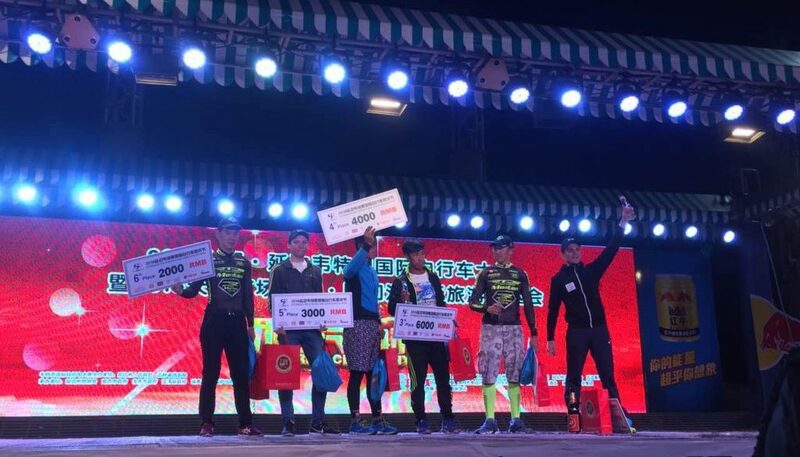 It turned out to be a miscalculation, as Okunev and Zhichao cooperated perfectly with each other and remained out of sight until the very last kilometers, when a steeper climb with five km to go proved decisive for the outcome of the race. Okunev accelerated and forced Hu Zhichao into a painful leg muscle cramp. Going solo, Okunev then suddenly felt Que Hao and Tuulkhangai edging closer to him. But on the top of the climb the gap was still 20 seconds. 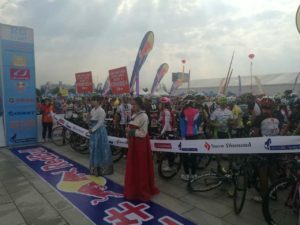 Tuulkhangai dropped Que Hao and flew past Hu Zhichao, but the Mongolian time trial specialist was unable to still catch Denis Okunev in the final two -mainly downhill- kilometers. 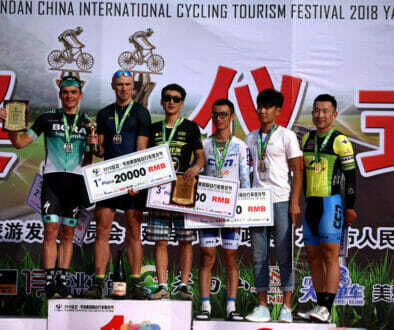 A well-deserved and impressive victory for Denis Okunev, after winning the two-day Yanbian stage race last year. In the womens race, Mongolias Solongo Tserenlham was too fast for the others. The race for the remaining steps on the podium was very close, however. 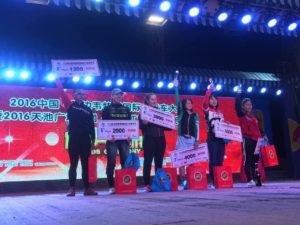 Chinas Hong Sainan got the better of the Russian duo of Irina Gribanova – this years Queen of the Grasslands during the Genghis Khan Festival in Inner Mongolia – and Elizaveta Inevatkina.